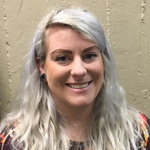 Cassandra is a Canadian student born and raised in Winnipeg, she just recently graduated from Menno Simmons College and the University of Winnipeg with an undergrad in International Development Studies and a minor in Conflict Resolution. During her time at Menno Simmons she was also facilitator for the student’s association and sat on the board for Canadian Mennonite University. She loves the community and atmosphere that is present at The University of Winnipeg, and is excited to spend two more years here. Cassandra did her practicum for her undergrad in Arusha, Tanzania, helping to rehabilitate physically disabled youth. While in Tanzania she realized doing community development within her own community is what she is most passionate about. Cassandra works in downtown Winnipeg trying to lighten some of the hardships that individuals facing poverty and homelessness experience. Her hope is that the Master's in Development Practise will give her better skills and understanding in the field of development, and enable her to work towards alleviating homelessness and poverty in Manitoba, and Canada as a whole.